All classes will be held at Stocker Stadium track/football field today. Regular class schedule (6am, 8am, Noon, 3:45Kids, 4:30pm and 5:30pm). Thanks to everyone that showed their support and came out for the ’31Heroes’ WOD. Congratulations are in order to Shannon Psenda on her successful completion of the Disney Half Marathon yesterday. Good job Shannon!! CALLING ALL ATHLETES! If you are potentially interested or already 100% committed to competing next year in CrossFit (as an individual or on a team), please join us for an informal meeting on Wednesday, September 7 at 6:30pm. Really, if you are planning on competing in anything, be it mountain biking, running, MMA, whatever… join us and get a plan for success established. It may seem in the distant future but the work begins now. We will talk about goal setting, your mental game, recovery methods, and more. We will not be holding our free Saturday class this weekend (9/10) at CrossFit Junction. However, anyone and everyone is welcome to take a road trip with us up to Avon for the Grand Opening of CrossFit Venture. There will be a WOD at 10am. 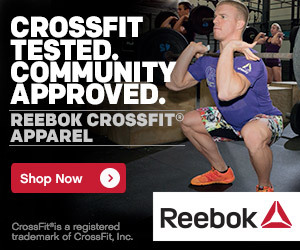 It is always fun to immerse yourself within the CF community and workout in other boxes. Let us know if you’re interested in hopping in! The day was fun, I really enjoy seeing everyone show up & give their all. please make space for me on Sat. to travel to Avon, I would like to see Sam & Natalie’s new gym.